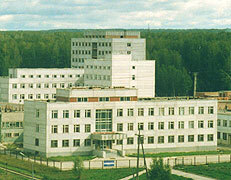 The Institute is one of the oldest Siberian scientific establishments. It was organized in 1944 as the Chemical Metallurgical Institute. After the establishment of the Siberian branch of the USSR Academy of Sciences which incorporated the Institute, it has received a more purposeful and specialized structure. It was renamed in 1964 into the Institute of Physicochemical Principles of Mineral Raw Materials Processing. The main idea of the Institute was the research work aimed at the development of theoretical foundations for processing various types of mineral raw material: ores, nonferrous and rare metals, non-valuable aluminosilicates, naturally occurring salts, and solid fossil fuel. A new direction of fundamental research, solid state chemistry, is being developed since 1975, and in 1980 the Institute has received the new title, the Institute of Solid State Chemistry and Mineral Raw Materials Processing. The scientific approach being developed at the Institute is based on the detailed study of the kinetics and mechanism of topochemical reactions, a special class of solid state transformations characterized by the selective occurrence of chemical transformations in the volume of solid reagent. The results permited to suggest the ways to control reactivity of solids. The ideas developed in the basic research have found practical application. New materials for recording optical information, new unique technology of palladium-free metallization of dielectrics were design at the end of the 70's - beginning of the 80's years. A new direction has been born, the application of non-thermal methods of the activation of solid phase processes. Basic research in the field of mechanochemistry carried out at the Institute is directed towards the investigation of the nature of metastable and unstable states of the solids, the study of the properties of mechanocomposites. Along with the basic research in the field of mechanochemistry, the Institute carries out the works on improving the methods of investigating mechanochemical processes and designing the devices to carry out mechanical activation. At the end of 70's years, studies of the formation of defects in crystals during mechanical activation allowed to design acid-free technology of the production of phosphorus fertilizers and the new method of selective sorbtion of lithium from the underground highly mineralized water. At the 80's years, studies of the solid state interaction mechanism under the action of mechanical impulse have lead to the creation of new materials for stomatology, to the new method of synthesis and regeneration of Raney nickel catalyst, to the synthesis of rapidly dissolving aspirin. In recent years the studies were conducted which allowed to propose the ways of improvement in the technology of oxide superconductor synthesis, new pigments and high-current ion conductors. In 1993 the groop of Institute's scientists was awarded State Prize in the fields of science of technology for the works in mechanochemistry. Another method of solid state process activation, radiation-thermal, is under investigation at the Institute since the end of the 80's years. The technology of obtaining nanodisperse oxide powder for the production of construction ceramics has been worked out. In recent years extensive works are aimed at the synthesis of new materials: high purity bismuth compounds, metal carbides and silicides, intermetallic compounds, etc. At the Institute, the solving of problems connected with ecology attracted much attention during the last 20 years. An electroionite apparatus and technology were designed for obtaining high pure water. The compositions and technologies for the production of new building materials were designed utilizing solid wastes of industry and power engineering. A new highly efficient electrochemical method involving flow-type porous electrodes has been worked out at the Institute in the frame of the problem of utilization of precious and non-ferrous metals from industrial solutions. The personnel of the Institute consists of 247 employees including 97 research workers, 66 candidates of sciences (Ph.D.), 7 doctors of sciences (D.Sc.). The Institute is headed by Boldyrev V.V., Full Member of RAS. The structure of the Institute is composed of three sections. They deal with: material science (headed by Lyakhov N.Z., Doctor of chemical sciences, Professor, Full Member of the Russian Academy of Natural Sciences), mechanochemistry (Lomovsky O.I., Doctor of chemical sciences, the Associate Member of the RANS), and electrochemistry (Masliy A.I., Candidate of chemical sciences, senior researcher. ).